Every month we have a speaker give a presentation at the Sizzler Restaurant for our AWMA luncheon seminar. 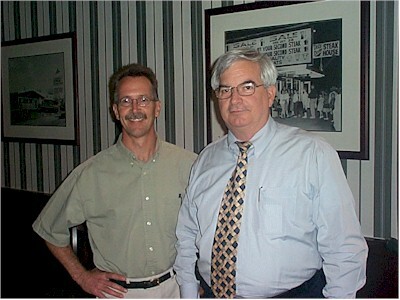 This is our Chapter's chair, Bill, with the speaker, Tom Blair. Tom is the city's energy administrator, whose job it is to figure out how San Diego can grow and save energy at the same time. Not an easy task.